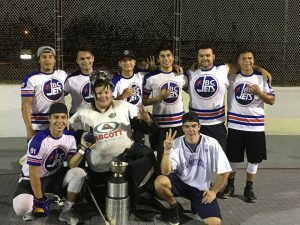 The adult ball hockey leagues at BHi London take adult sports leagues to a new level of fun! 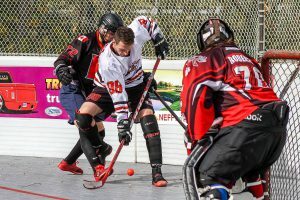 The Spring season begins in March at our outdoor ball hockey facility located at 17b Clark Rd. in London, Ontario. BHi offers a variety of different divisions based on skill level. Men’s C, D, and E divisions consist of a 12 game schedule plus playoffs. Men’s Division games will be played on weeknights. All division winners will receive Division Champs Hats and a team entry into the 2019 Weekend of Champs tournament. Teams may add new players to a team throughout the regular season, while not exceeding the maximum of 18 players or minimum of 11 players in any given season. All players must have a valid waiver form completed and signed from the past year to play. In order to play in the playoffs, a player must have played a minimum of 4 regular season games. No restrictions on players playing in C Division. D Division rosters can only include up to 3 C Division players. E Division rosters can only include up to 3 D Division players or 1 C Division player. No refunds are provided after the first game is played. Exceptions to these rules are at the discretion and approval of BHi Management. The Men’s 30+ Division consists of an 8 game schedule plus playoffs. Men’s 30+ games will be played Sundays. All division winners will receive Division Champs Hats. In order to play in the playoffs, a player must have played a minimum of 3 regular season games. If a player is participating in multiple divisions, they can only play in 1 division lower than the division they are currently playing in. (no wooden blades). It is recommended adults wear proper equipment to protect themselves from injury, such as shin pads, helmet with face shield, jock, and elbow pads. 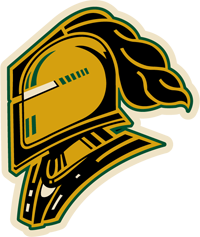 Goaltenders are required to wear full equipment.